SIGN UP to receive emails about upcoming interpreter trainings and events. 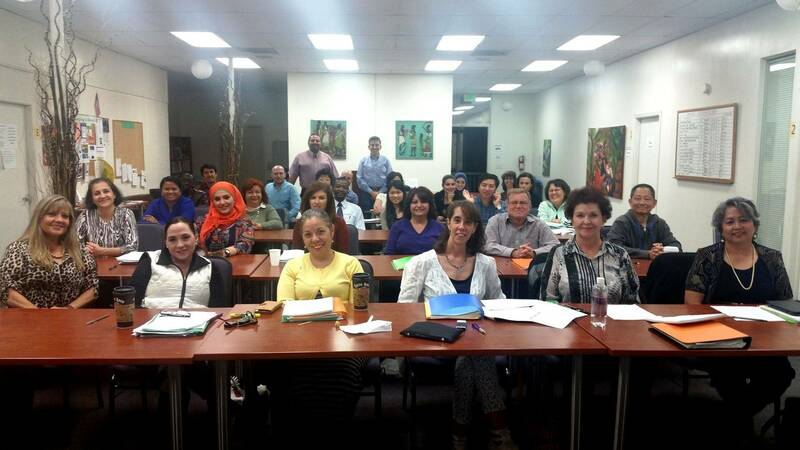 Global Village Language and Cultural Solutions offers several trainings during the year to interpreters of all levels interested in improving their existing skills or in getting started in the profession. We are very happy to announce that Global Village is partnering with the California Healthcare Interpreting Association (CHIA) to offer a training in our offices! We hope you will be able to take advantage of this great opportunity to participate in a CCHI certified workshop, given by a recognized Interpreter Trainer on the complex issue of Sight Translation for Healthcare Interpreters. All details below. Note that registrations for this workshop have to go through the CHIA website (http://chiaonline.org/event-2645453) and space is limited. Don't wait to register! Date: Monday, Sept. 18 , 2017 from 5:45 - 9 p.m. This Sight Translation workshop focuses on the general skills of reading, textual analysis and vocabulary to practice verbal text conversion from the source language to the target language. The training will present different tiers of exercises that will allow participants to practice with speed reading, reading comprehension and meaning extraction from text, in order to facilitate the process of Sight Translation. The ultimate goal of the activities presented during this workshop aims at enabling participants to produce correct, coherent and fluent translations. 5:30 sign-in. Light meal provided. Details to follow. Other courses on different topics will be offered throughout the year. Check back here for upcoming dates. This is an in-person workshop training format. The target audience is interpreters and or staff that interpret for medical or social service environments. This 40-hour course is accredited for 36 CEUs by CCHI. This is an in-person workshop training format. The target audience is interpreters and dual role interpreter/advocacy staff that interpret for domestic violence situations either in a medical or social service environment. The training presupposes participants have basic training in healthcare interpreting prior to taking this class, as the basics will be reviewed quickly. The program focus is on learning about domestic violence, and about the interaction between interpreters, advocates/service providers, and survivors. It covers skills and best practices for healthcare interpreters, with case study examples based on domestic violence-related scenarios. It also equips interpreters with tools for self care before, during, and after traumatic interpreting sessions. The training is 6 curriculum hours, 8 hours total to include break and assessment time. This training will cover a variety of situations interpreters may encounter at San Diego schools as well as provide an in depth review of Special Education services. This is an opportunity to learn about the interpreter’s role in the IEP process and best practices for interaction with the Special Education teams. The training presupposes participants have received basic training in interpreting prior to taking this class, as general interpreting procedures will be reviewed quickly. Presenters will include San Diego Unified School District's (SDUSD) Special Education division Interpreter Supervisor / Interpreter, SDUSD Spanish<>English Interpreter and Global Village instructors. In-person classroom session with 3 subject matter experts. Will be posted once the next training is scheduled.